Mark Wegierski shares some recent Polish experiences in Toronto. On October 24, 2018, I attended the event “Celebrating Poland” at the showcase Harbourfront Centre in downtown Toronto, as part of the 39th edition of the Toronto International Festival of Authors (TIFA). There were three young Polish writers featured: Dorota Maslowska – author of, among others, Snow White and Russian Red (originally published in Polish in 2002 when she was only nineteen) – set in the social milieu of a low-life Polish gangster; Jakub Zulczyk – author of among others Blinded by the Lights (now an HBO Europe television series) (about a drug-dealer in current-day Warsaw); and Jakub Malecki, most of whose work has yet to be translated into English. The event was introduced by Professor Tamara Trojanowska, who had been for many years the main professor of the Polish Language and Literature program at the University of Toronto (in the Slavics Department), and moderated by Eva Stachniak, author of, among other historical novels, The Winter Palace (about Catherine the Great). There has been a flurry of Polish-related events in Toronto because of the 100th anniversary of the regaining of Polish independence (November 11, 1918). Poland was reborn after 123 years of often harsh foreign occupation by Tsarist Russia, Prussia/Germany, and the Habsburg Empire. As part of the independence commemorations, Terry Tegnazian, a Los Angeles-based Armenian-American woman, a publisher of award-winning books on Poland’s World War II history, spoke at the Consulate-General of the Republic of Poland on October 25. There was also the 10th Toronto Polish Film Festival (ekran.ca) showing a broad variety of films from Poland. The Polish Students’ Association at the University of Toronto arranged the showing of three Polish films – The Gates of Europe, set in 1918 in Poland’s Eastern Borderlands; Warsaw 44, about the Warsaw Uprising of 1944; and Ida, set in the difficult post-World War II period under Communism. There was also an exhibition at Robarts Library, the massive main library of the University of Toronto. On November 13, there was the book-launch of Being Poland, a collection of essays on Polish literature and culture since 1918, edited by, among others, Tamara Trojanowska (published by the University of Toronto Press). It was good to see some quickening of Polish themes in Toronto, around this important anniversary. There are very few currently-sitting MPs and MPPs who could be identified as belonging to the Polish-Canadian community. Among the most prominent are Calgary-area MP Tom Kmiec, and the recently elected young MPPs in Ontario, Kinga Surma (Etobicoke Centre) and Natalia Kusendova (Mississauga Centre). Until a few years ago, a person comparatively well-acquainted with the community, when thinking of authors, could probably think only of Eva Stachniak and Irene Tomaszewski, and perhaps K. G. E. (Chuck) Konkel (author of two, police-procedural-type novels, set in non-Polish locales – Hong Kong and Mexico respectively). There was also, in 1995, Marynia, Don’t Cry: Memoirs of Two Polish-Canadian Families, by Apolonja (Pola) M. Kojder and Barbara Glogowska, published by the University of Toronto Press. I would like to discuss “A Mother’s Legacy”, Apolonja Kojder’s memoir in Marynia, Don’t Cry: Memoirs of Two Polish-Canadian Families. (The title of the entire book is taken from Pola’s memoir; the second memoir is by Barbara Glogowska.) Pola draws helpful attention to such matters as to how difficult life truly was in earlier parts of the Twentieth Century, as well as chronicling her highly tragic family history. Her father, mother, and their young daughter, Apolonja Rozalia, were deported in 1940 from Eastern Poland to far-northern Russia, where Rozalia would die – a sister whom Pola (who was born in 1948 in Canada) would never come to know. (Her parents settled after the war in North Battleford, Saskatchewan.) Her uncle was murdered by the NKVD as part of the Katyn massacres in 1940. She lists twenty relatives who did not survive the war. Tragedy continued after the war’s end. Her father’s cousin, Wladyslaw Kojder, a leader of the independent Polish Peasants’ Party, was brutally murdered by the Communist secret police in September 1945. She found out many years later, that another of her relatives died in 1947 as a result of chemical poisoning from slave labor in a chemical factory, to which he was assigned after rejecting an offer of Soviet citizenship. Pola’s father died in 1968 in a tragic workplace accident, while saving the life of another worker. Those were times when workplace heroism was not usually recognized. During her speech at the Katyn commemoration ceremonies in April 2001, Pola endeavored to describe to an audience which included Canadians the vastness of the Katyn tragedy. In the context of Canadian multiculturalism, her drawing attention to the somewhat variegated nature of the Katyn victims – all Polish citizens of various faiths and ethnic backgrounds – was rather creative and appropriate. In the last few years, a number of new writers have emerged – Andrew J. Borkowski, author of the short story collection, Copernicus Avenue, which won the 2012 Toronto Book Award; Aga Maksimowska, whose book Giant was nominated for the 2013 Toronto Book Award; Jowita Bydlowska, author of Drunk Mom, and, more recently, Guy; and Ania Szado, author of Beginning of Was, and Studio St-Ex (about Antoine St. Exupery). Of these new authors, the books of Borkowski and Maksimowska and, to a lesser extent, Szado’s first novel, are the only ones that appear to have major Polish and Polish-Canadian content. However, Maksimowska’s novel has elements of some current-day “politically-correct” stereotypes about Poles, something that Borkowski, also, does not entirely avoid. In 2017, there appeared an anthology of Polish-Canadian short fiction from Guernica Editions, and Kasia Jaronczyk’s Lemons — a gritty linked-short-story collection. In 2018, Caroline Szpak published a collection of abstruse poetry – Slinky Naïve. The endeavors of Professor Tamara Trojanowska in the Polish Language and Literature program at the University of Toronto have usually been felicitous (such as organizing a major international conference on Polish themes at the University of Toronto in February 2006). On the other hand, Professor Piotr Wrobel, who currently holds the Chair of Polish History at the University of Toronto, is considered by some to be rather cool to the Polish-Canadian community and its core concerns. Thanks to the isolated but genuinely idealistic efforts of Professor Kazimierz Patalas of the Freshwater Institute in Manitoba, and Professor Zbigniew Izydorczyk at the University of Winnipeg, there has appeared the book, Providence Watching: Journeys from Wartorn Poland to the Canadian Prairies (Winnipeg: University of Manitoba Press, 2003). This was an English translation of a work which Professor Patalas put together with considerable effort, “Przez boje, przez znoje, przez trud: Kombatanckie losy” (Through battles, privations, and hardship: The fate of Polish soldiers) (Winnipeg: Polish Combatants’ Association – Group 13, 1996). Professors Patalas and Izydorczyk doubtless undertook a supreme effort to bring the book forward to appearance in English. It’s quite clear that in today’s climate, the publishing of a book friendly to the Polish cause, by a recognized Canadian publisher, requires a huge personal effort and well-established professional contacts. In this case, Professor Daniel Stone, who teaches Polish and East European history at the University of Winnipeg, wrote a lucid introduction to the book. Another isolated but genuinely idealistic endeavor, was High Park Magazine, edited by Piotr Manycz, of which twenty-five magnificent issues appeared between 1992 and 1998. The quality of the publication was amazing – and it had articles in both Polish and English. Had it continued, it could have perhaps become a nucleus for far more lively Polish impressions on the Canadian literary landscape. A third example of an isolated but genuinely idealistic initiative is “Poland in the Rockies.” This is a summer seminar in a natural setting, with lectures and informal talks by such luminaries as Professor Norman Davies, that offers a sense of community and networking, mainly to young Polish-Canadian and Polish-American university and college students. Such a sense of community is considerably reassuring to young people, who not infrequently have to sharply defend Polishness, in today’s North American social and cultural climate. After a hiatus of some years, the seminar was revived in 2014, but I am unable to ascertain through various Internet searches, whether it is happening in subsequent years. Another helpful initiative is the Quo Vadis conferences. 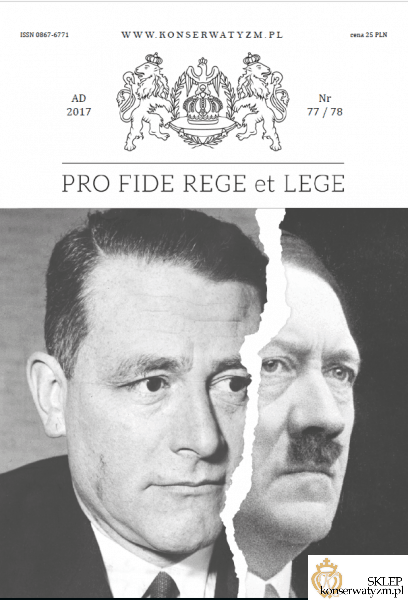 In the main English-language Canadian press and publishers, the presence of articles and books that treat Polish and Polish-Canadian themes and issues in a comparatively sympathetic light, appears to be extremely infrequent. In fact, such themes and issues are rather rarely discussed at all. It might be concluded from this that, insofar as the Polish-Canadian community might wish to have articles in English that represent it effectively to Canadian society, they can probably only appear in Polonia publications. Such articles in English can also speak to persons of Polish descent who have a middling or weaker command of the Polish language, but would appreciate their heritage effectively represented in English. This writer has waited for years (if not decades) for a Canadian Polonia newspaper that would frequently publish articles in English. Indeed, it is probably only through the medium of the English language that a more effective, intermediary, Polish and Canadian identity, which might be able to persist a considerable number of generations, can somehow be worked out, at this very late date. Most newspapers of Canadian Polonia have usually been oriented towards “Poles living in Canada” (that is, immigrants from Poland) – as opposed to persons of Polish descent born in Canada. Given the ever-diminishing numbers of new immigrants from Poland, it could be argued that increasing attention must come to be paid to the generations born in Canada. Leaving the “Celebrating Poland” event to travel home on a long subway ride, I could not help but thinking about how small a sliver of life in Toronto the Polish-Canadians represented. 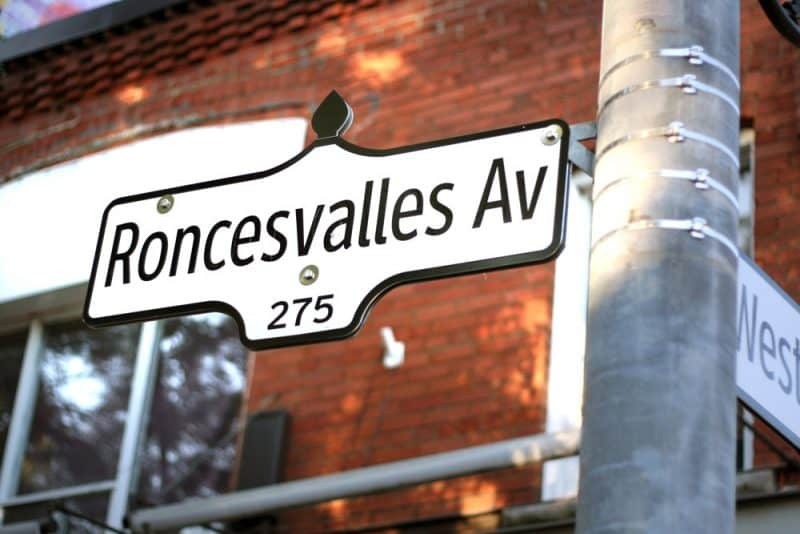 Polish-Canadians are currently about 3.8 percent of the city’s total population. The Polish-Canadians, lacking influence in the mainstream media, literary and cultural life, government institutions, and the educational system, simply cannot make themselves heard above the din of other groups. When I was far younger, I was heavily acculturated into Polishness, but this unfortunately has produced a cognitive dissonance, as my concerns were reflected nowhere in Canadian society, that I could see. Nor are they being reflected today. One can only hope that Polish-Canadians could begin to show some of the strong group-solidarity seen in most visible minority groups, or, to take an example closer to home, the Ukrainian-Canadians. ← Wielomski: Katolik – Prusak – Nazista. 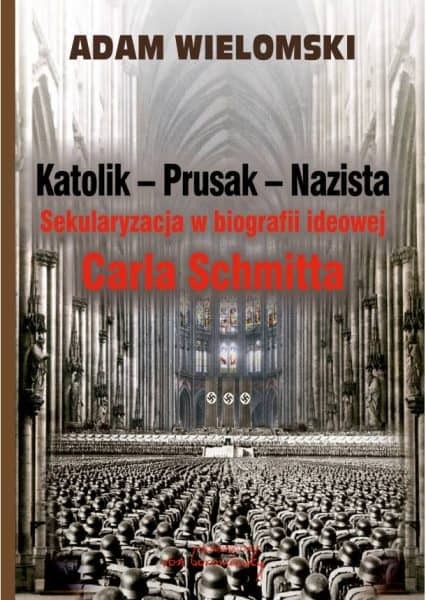 Sekularyzacja w biografii ideowej Carla Schmitta. Nowość w Bibliotece Konserwatyzm.pl!